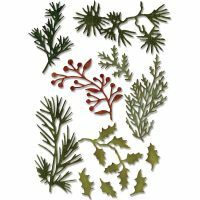 This is a great value set of 11 dies that cut various leaves, branches and berries. 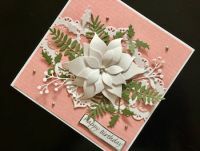 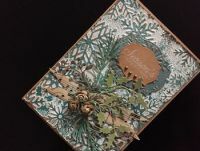 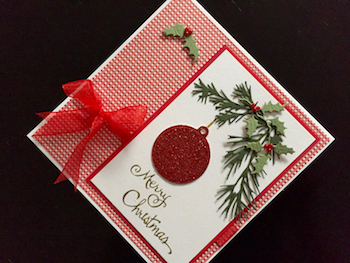 Designed to be winter foliage many of the dies could be used year round to create your own embellishments and decorative additions to cards, gift tags and other craft projects. 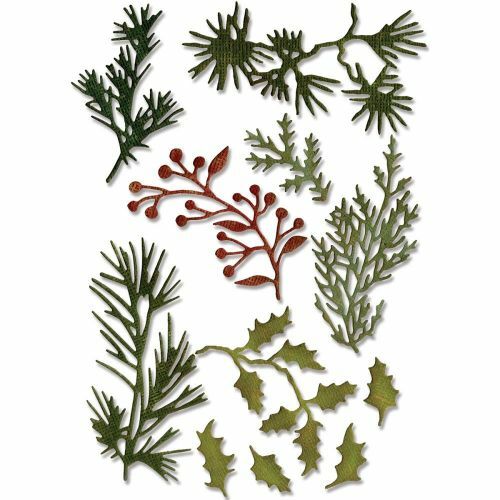 Compatible with most leadingbrands of die cutting machine the dies range in size from 1.9 x 1.9 - 7.6 x 4.1cm (.75 x .75 - 3 x 1.5 inches).